For the dads who sleep in their studios, schlep their sketchbooks everywhere, and would happily die before parting with that guitar—a selection of five remarkable reads that kindle the compulsion to create. Every great song has a story that needs to be told. 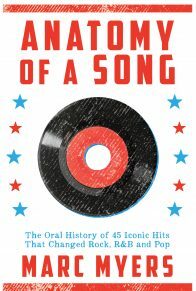 In Anatomy of a Song, writer and music historian Marc Myers brings to life five decades of music through forty-five transformative songs and oral-history interviews with the artists who created them. Mick Jagger, Jimmy Page, Rod Stewart, the Clash, Jimmy Cliff, Roger Waters, Stevie Wonder, Keith Richards, Cyndi Lauper, and many other leading artists reveal the emotions, inspirations, and techniques behind their influential works, bringing readers inside the making of a hit. Rob Spillman, the charismatic cofounding editor of the legendary Tin House magazine, has devoted his life to the rebellious pursuit of artistic authenticity. Born in Germany to two driven musicians, his childhood was spent among the West Berlin cognoscenti. Spillman would eventually find his way into the literary world of New York City, only to return to Berlin just months after the wall came down. 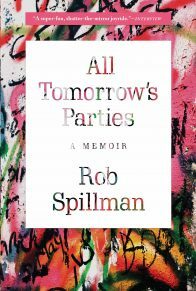 In his intimate, entertaining, and heartfelt memoir, Spillman narrates a colorful, literary, and music-filled coming-of-age that is also a cultural exploration of a shifting Berlin. 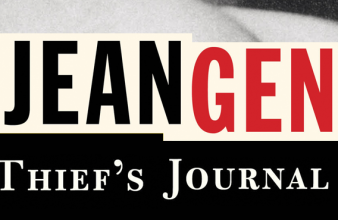 In 1977, twenty years after the publication of his landmark poem “Howl” and Jack Kerouac’s On the Road, Allen Ginsberg decided it was time to teach a course on the literary history of the Beat Generation. 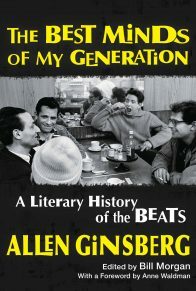 Compiled and edited by renowned Beat scholar Bill Morgan, and with an introduction by Anne Waldman, The Best Minds of My Generation presents Ginsberg’s lectures on one of the most important literary movements of the twentieth century, complete with notes, for Beat aficionados and neophytes alike. A legendary capital of the arts, Paris hosted some of the most legendary developments in world culture–particularly at the beginning of the twentieth century, with the flowering of fauvism, cubism, dadaism, and surrealism. 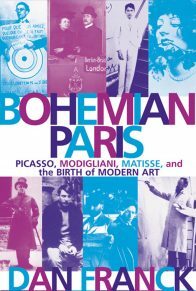 In Bohemian Paris, Dan Franck leads us on a vivid and magical tour of the Paris of 1900–1930, a hotbed of artistic creation where we encounter Apollinaire, Modigliani, Cocteau, Matisse, Picasso, Hemingway, and Fitzgerald, working, loving, and struggling to stay afloat. 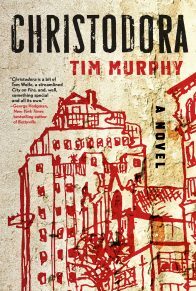 In this vivid and compelling novel, Tim Murphy follows a diverse set of artists and activists whose fates intertwine in an iconic building in Manhattan’s East Village, the Christodora. 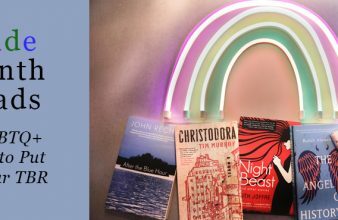 Moving kaleidoscopically from the Tompkins Square Riots and the AIDS epidemic of the 1980s, to a New York City of the 2020s where subzero winters are a thing of the past, Christodora brings to life the danger, chaos, and wonder of New York City—examining the ways ambition, compulsion, and trauma form and re-form the lives of us all. 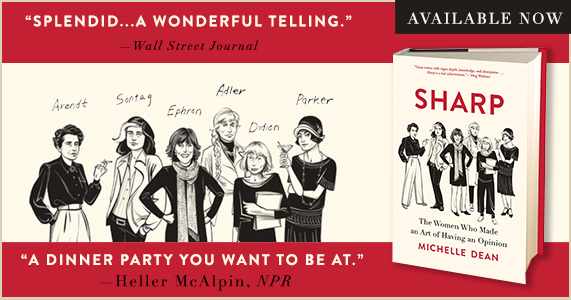 In the years following World War I, a small group of writers, painters, and filmmakers set out to change the way we perceive the world. They called themselves the Surrealists, and their aim was to revolutionize the arts, and through them everything else. 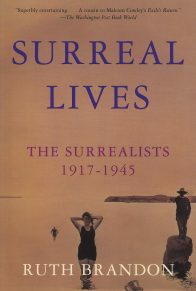 In Surreal Lives Ruth Brandon follows their lives and interconnections, as the primal scream that was Dada evolved into Surrealism, the movement that raged through the art world until the end of World War II. Spinning the many stories of Surrealism with wit, energy, and insight, Brandon brings sharp analysis to an eccentric cast of characters whose struggles and achievements came to mirror and define the way the world changed between the wars.